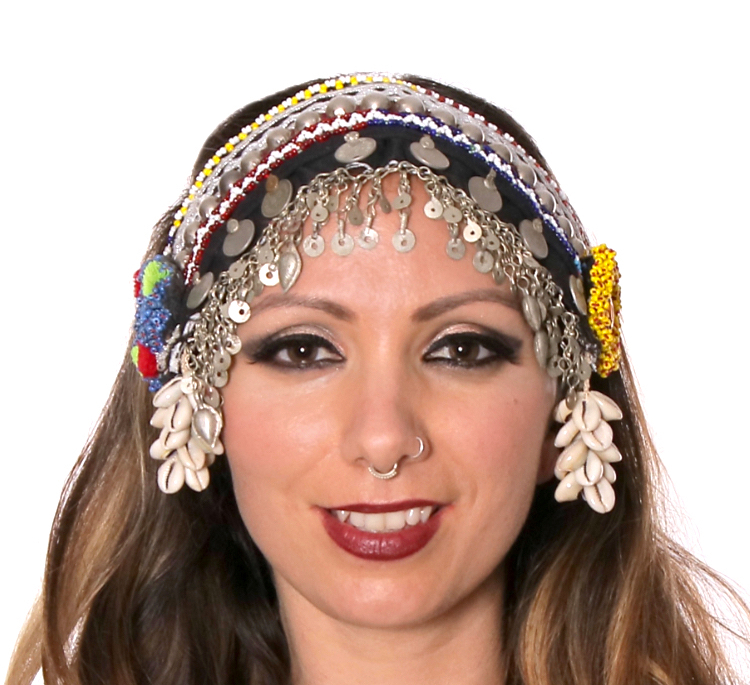 This authentic, hand-crafted Afghani style tribal head piece is adorned with coins, cowry shells, beads, and Afghani jewelry. This authentic, hand-crafted Afghani style tribal head piece is adorned with coins, cowry shells, beads, and Afghani jewelry. Made in India. Soft fabric base; elastic band and hair clips to keep in place. Each piece is a unique work of art, so exact color of trim and beads will vary from photo. If you have any color preferences, please note in your order comments.